The true essence of Top of Down Under is one girls dream to encourage others to embrace the outback, the ancient coastlines and remote mountain ranges that Australia has to offer. Top of Down Under is a travel adventure TV series that has been on air since 2011. Hosted by Penny Wells – her zest for everything outdoors finds her amongst rod bending game fish, mud slinging four wheel driving, bow hunting for her dinner or on the back of a trail bike exploring. Check out the Presenters to find out more. ​Available from 8pm Feb 6th on FOXTEL Channel 173 & C31 networks. Watch episode 1 as Penny travels from the Pentecost River and launches the boat at Walsh Point. If your planning a trip the the East Kimberleys, don't miss a second!! Mini Series 8.5 Unlocking Litchfield National Park NT - Online Now! Top of Down Under Mini Series 8.5 Unlocking Litchfield National Park NT 4x4 Adventure from Bryan Wells on Vimeo. Series 7 Big Red to Pilbara - Premiers Feb 2018! Series 7 Airs February 6th on Melbourne C31 @ 7:30pm. Foxtel 173 & Youtube Wednesday the 7th @ 8pm, also Adelaide 44 Wednesday @ 8:30pm. ​This New series runs for 8 weeks. Super Set DVD Packs now available! T.O.D.U Series 7- Big Red to Pilbara Available Now Available on DVD & Download. Australia's deserts are surrounded by the misconception that they are "lifeless wastelands". This couldn't be further from the truth as Penny Wells embarks on her beautiful and challenging outback trek from Big Red in Qld to the Pilbara on the WA coast. Series 4 - Queensland East Coast ​- Now Available online! Series 4 is a road trip of discovery with Penny Wells. Soak up the contrasts of Queensland's East coast. This journey takes in a diversity of landscapes, stunning national parks, lush rain forests, waterfalls, red dusty outback roads and ancient headlands that plunge into the ocean. Behind the wheel of a new four wheel drive and accompanied by fresh travelling partners this series encapsulates adventures gained through fishing, four wheel driving, quad bike riding and snorkeling. The bonus footage DVD also includes camp cooking segments, deleted scenes and funny bloopers. 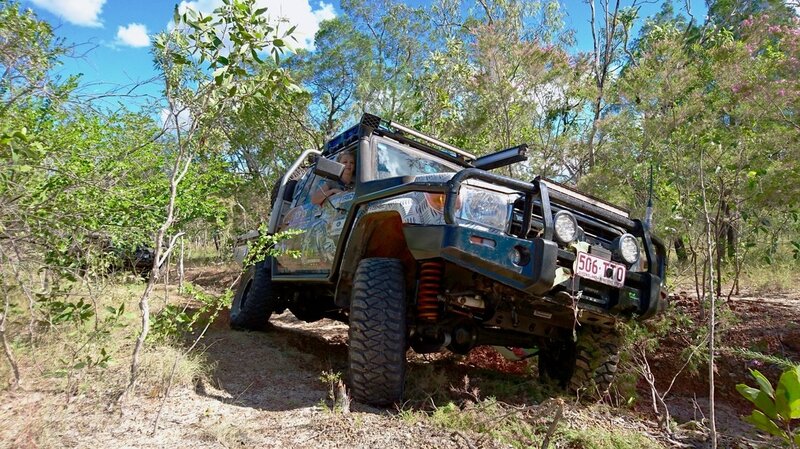 With maps and helpful info you will be set to plan your trip from the Queensland southern border right up to the Telegraph track to experience the freedom only the open road provides. Click to rent, stream or download Series 4 now! 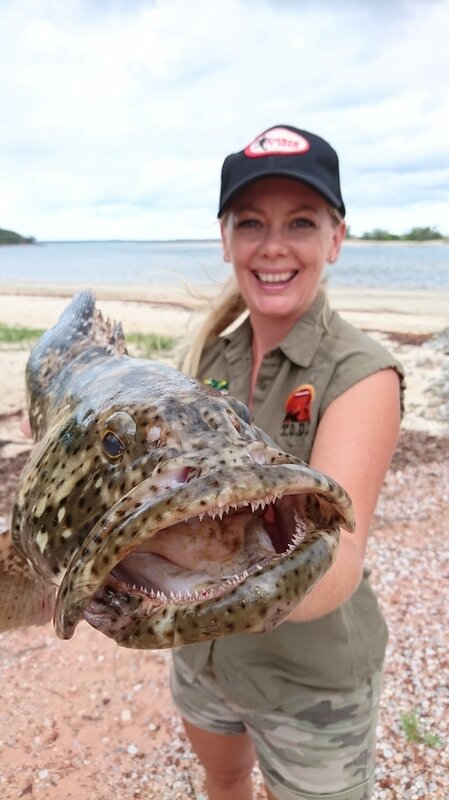 East Arnhem Land - Your Next Adventure! Click to Rent, buy or download Series 6 now! Penny and The Crew have found the Next Must Do Trip for you! Information on all the things to know, how to gain access, and of course the best spots to visit. Series 6 - East Arnhem Land & Surrounds is the latest instalment from your favourite Little Lady in the Big Cruiser! ​ through this unforgettable region of Australia. Season 5 Victorian High Country on-line now!